Size 11x27 1/8 " Frame: Pigmented epoxy/polyester powder coating Main parts: Steel, Pigmented epoxy/polyester powder coating. 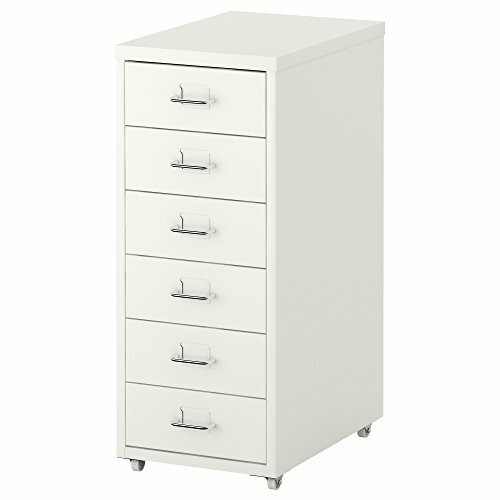 Slot for label on each drawer so you can easily keep things organized and find what you are looking for. 6 labels included for marking contents of drawers. Drawer stops prevent the drawer from being pulled out too far. The casters make it easy to move around. If you have any questions about this product by _IKEA, contact us by completing and submitting the form below. If you are looking for a specif part number, please include it with your message.